Hello, everybody! How are you today? I’m feeling quite happy because I got to open a huge package filled with food! Spoon University and Chef’d sent me a gigantic box full of snacks and drinks for me to try out for free! I’ve already opened up and tried a bunch of the stuff they sent me, and I thought I would share with you all which ones were my favorite! The snacks were protected inside a polyurethane bag, which Spoon U recommended to either reuse as insulation or drop off at a polyurethane recycling depot. I was pretty excited to receive my first care package and dig out the goods! Spoon University and Chef’d sent me a bunch of protein bars, which definitely come in handy when trying to grab a quick on-the-go breakfast before heading to class in the mornings. 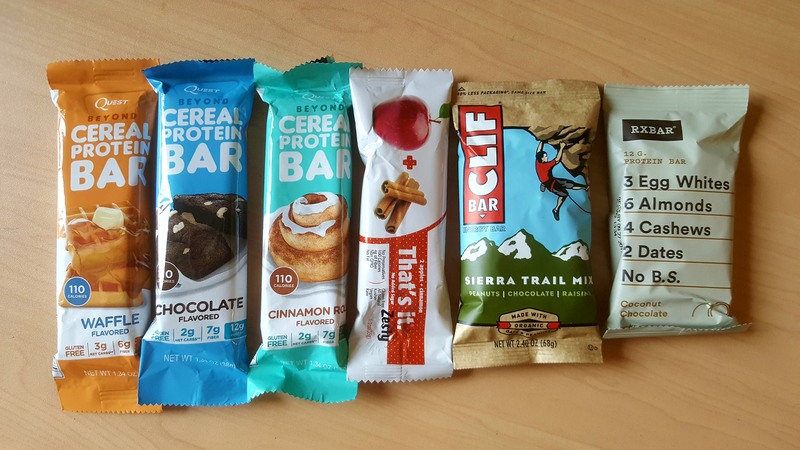 I tasted everything shown above except for the cinnamon roll cereal protein bar. The cereal protein bars are super sweet so they are sure to satisfy your sweet tooth cravings (especially the waffle flavor). The other protein bars were quite delicious as well! Spoon U and Chef’d also sent a cup of Quaker oatmeal, a box of Sun-Maid Sour Strawberry Flavored Golden Raisins, two pieces of natural dark chocolate, and a box of three individually packaged coffee thins. Although I haven’t tried out all the products sent to me, the coffee thins are my favorite so far. They are pieces of smooth cocoa butter containing the rich flavor of whole coffee beans. There are no chunks of coffee bean so they provide a satisfyingly smooth melting sensation. 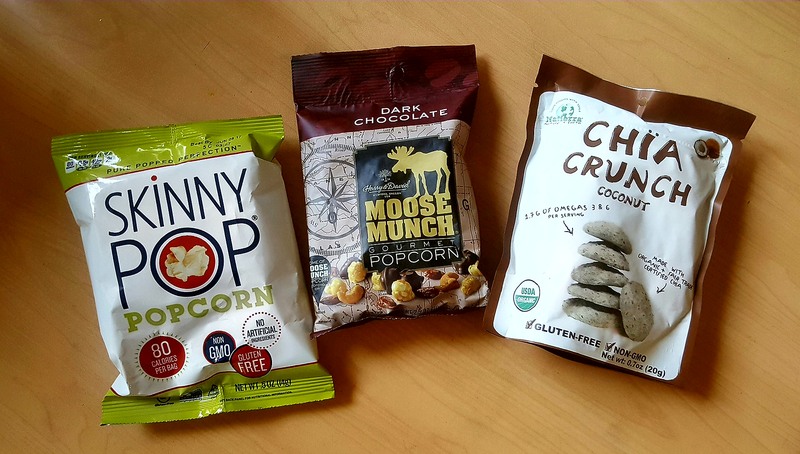 The Skinny Pop Popcorn, Moose Munch Gourmet Popcorn, and Chia Crunch Coconut were delicious as well! The Chia Crunch was definitely a new flavor and texture for me, but it was interesting to try out! Skinny Pop had a good ratio of popcorn to salt, which I appreciated. I was looking forward to the Moose Munch popcorn the most before tasting anything from the package. It was super sweet (almost as sweet as the cereal protein bars), but still delicious! Ah, kettle corn. What a blessing you are. I haven’t opened any of the drinks yet, but I already know what Zico tastes like from having tried it before. 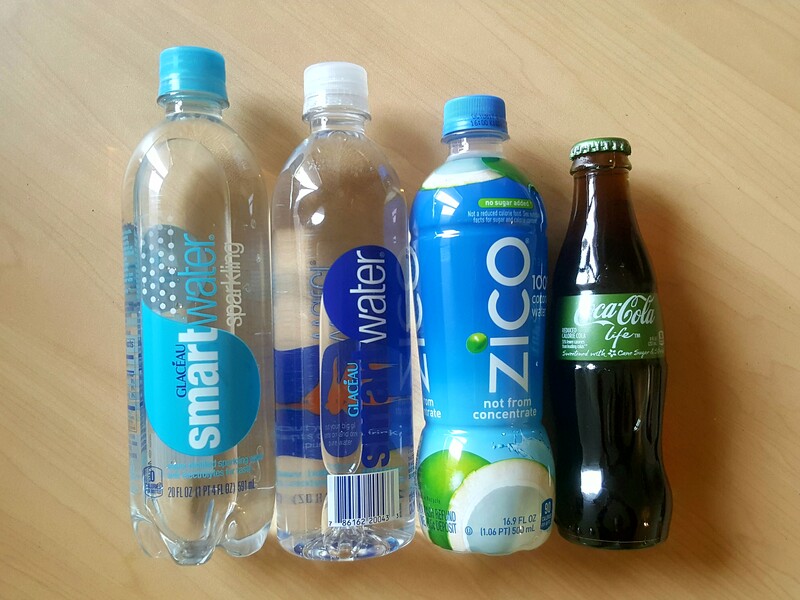 I’m pretty sure I’m tried the regular Smart Water as well, but I’ve never tried the sparkling version. I’m not the biggest fan of sparkling water, but it’s been years since I’ve tried it and considering that my tastes have changed for other flavors, I think I’ll give it a go. I’m most excited about trying the Coca-Cola Life. I saw a canned version of it back in Paris, but I didn’t try it. I’m happy Spoon U and Chef’d have sent it over for me to try! I think I’ll save it for later and try it out with my family. Side story: my professor actually mentioned Coca-Cola Life in my marketing class two days ago. Just thought that was interesting. 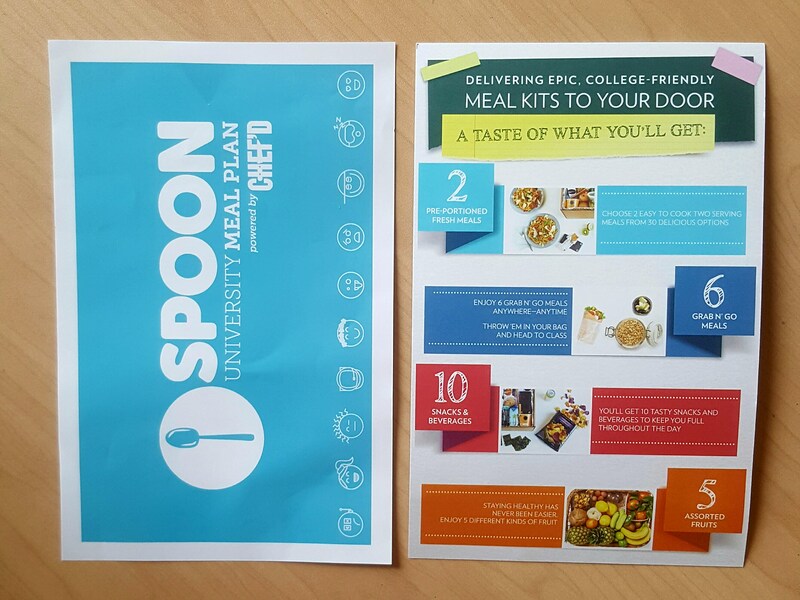 They also sent along double-sided information cards about their meal plan options and the nutrition information of the snacks they sent over. A huge thank you to Spoon University and Chef’d for sending me my first care package! The snacks have definitely helped me survive midterm season. Also, a thank you to my readers for reading this blog post! I hope you enjoyed this little unboxing with me! 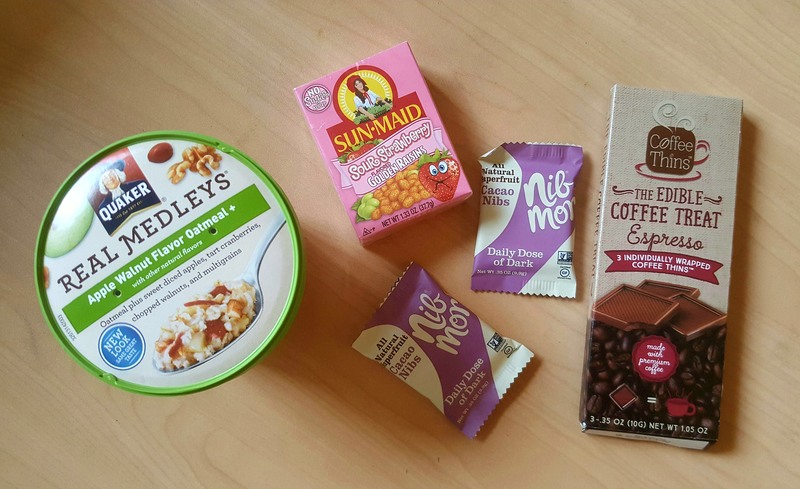 Disclaimer: Spoon University and Chef’d sent this care package for free but did not pay me to write this post. All thoughts and opinions are my own.